An Awesome Outdoor Vacation Adventure! 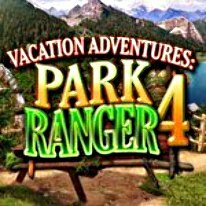 Join the newly promoted Ranger in another truly sensational Vacation Adventure in the great outdoors. Explore Pinecreek‘s fabulous new features and facilities including the American Indian Reservation, Red River Canyon & Geyser, Whitewater River Rafting, Lakeside Campground & Cabins and the Hill Country Cafe. Walk past Waterfalls, along the Apache Trail and explore gorgeous outdoor locations. Enjoy beautiful scenery, go boating and fishing, have summer evening Barbecues by the lake. Spot 100’s of Animals, Birds, Fish and other Wildlife. Check everything out in a wonderfully illustrated Wildlife Notebook. Protect the environment and get souvenirs and awards as you go along.